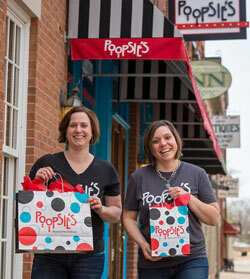 Filled with a little bit of magic and a little bit of everything nice, Poopsie’s is a funky, fun retailer that’s been an anchor of Galena, Illinois’ historic Main Street shopping district for more than 25 years. 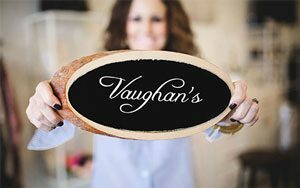 Their whimsical shop is filled with tons of books, toys, games, one-of-a-kind art, jewelry, home décor, and other gifts you simply won’t find anywhere else. 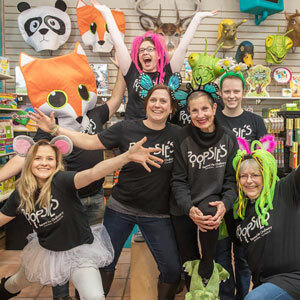 On top of the unique experiences they provide, Poopsie’s also likes to donate some of their profits to charities. During March, April, and May of this year, the retailer donated $5 of each sale of Kobi Yamada’s 2014 book What Do You Do With An Idea? To Galena’s Women & Friends Making a Difference, a group formed in 2017 to work with lower income individuals and families by providing food, clothing, and information on making healthier choices. 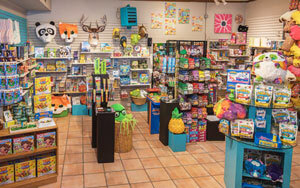 “We are always trying to up our game and let customers be a part of it. We chose this book because we wanted to inspire people to not keep their ideas close, but to let them run and see where they can go,” Alana said. Altogether, Poopsie’s donated a total of $500 to the organization’s cause. This isn’t the first time the retailer has donated to a good cause. They are constantly putting money into their community fund, and then switching up the donation to whoever has the biggest need. Turner said they heard through the grapevine that Galena’s Women & Friends Making a Difference was pulling together food for the families over the summer months because they knew kids wouldn’t be in school and likely wouldn’t have food at home, and so they decided to help the charity. Even though Poopsie’s is located on a touristy street, they still experience a slow season. The winters can be pretty snowy, since they are up in the hills, and they have learned that they have a three-month period where things get quiet, according to Alana. 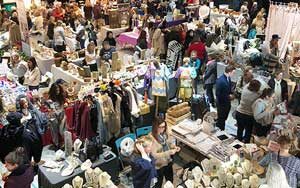 After preparing themselves all year for the slow months, they then utilize all this extra time to complete store renovations, do some training, attend trade shows, and participate in local events. 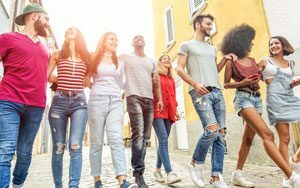 “It’s all about pre-planning to know you’re going to have some months with less income, but it also means more time to get stuff done,” Alana said. Poopsie’s also tries to cater to customers who can’t exactly make it into the store. They have a program called Poopsie’s Live, where customers can Facetime a Poopette, or personal shopper, and the associate will help the shopper with gift ideas and show them products around the store. 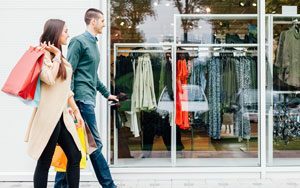 The customer can then pick the products up in store or have them shipped to their home. Poopsie’s has learned a lot about their business and their customers over the past 25 years, and it definitely shows in their hard work. For more information on Poopsie’s and what they do, check out their website www.poopsies.com.